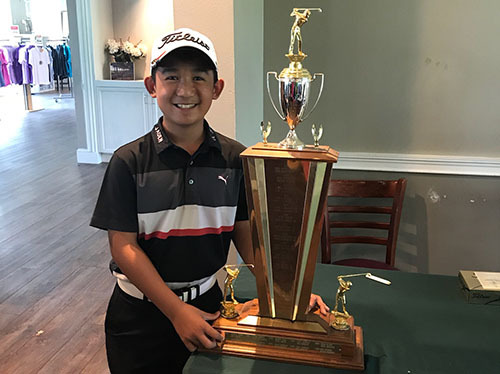 The 70th annual Walter & Olga Strand Junior/Senior Chapman Scotch City Championship was played at Bartley Cavanaugh Golf Course on Saturday, September 29, 2018. We had a great turn out with 36 Two Person Teams, great weather, course was in great shape. Many compliments on the tournament and the lunch that followed. Champions: Ron Rojas and Jaden Dumdumaya (12 years old, pictured above). They shot a Gross 69 Net 65 and won on a score card playoff. © 2019 SACRAMENTO GOLF COUNCIL.